Well, we’ve only gone and done it! Keys to our new home! Bought a house in France. Should I change the name of this blog, I wonder? Should FancyingFrance become LivingthedreamFrance? I’ve no idea! Any suggestions welcome. Our house is in SW France, in Castelnaudary , in between Toulouse and Carcassone. If we stand in the front garden we can see the Pyrénées on the horizon and if we walk out of our back garden gate, we are on the towpath alongside the Canal du Midi. More details to follow! Anyway, I’m having moments of sheer joy, followed by others of feeling overwhelmed with everything we have to do and, equally, appreciating so much what we have. Watch this space! ← Do you? Would you? Have you? Congrats! I’m so jealous–but in the nicest way!! Seriously. I’m so happy for you..and keep the name of your blog because you can still live there and fancy it even more!!! Oh man, I can’t wait to read about your moving in journey!!!!! I’m going to toast to you later when we have our aperitifs! Felicitations! How exciting for you! Please keep your posts coming as you live the dream, which may upon occasion be a nightmare, but will undoubtedly mostly be a dream come true. Thank you for commenting, Peggy. It is exciting but there will be some nightmares, along the way, I’m sure! I forgot to say in my excited state of mind that we won’t be living permanently in France but will be dividing our time with our home in the UK. Our youngest son is still at home and my mother in law is still going strong, in her nineties,so it won’t be a total relocation! Oh wow, June, how wonderful for you. That’s a lovely area. We have friends who have lived permanently in the Lot valley for decades. (They’re now in Moissac). And another friend with a place in Carcassonne, which like you they use for part of the year. We’re aiming to visit France a lot more in the coming years so who knows…. And, you know, sad as these times are (you hinted) it’s a very good and positive way to use the money. Enjoy! France at its best is so beautiful – and then there’s the food! Thank you so much for your comment, Penny. 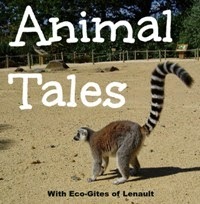 Perhaps we could meet up with Catherine (Atypical 60) in France and have a bloggers’ get together. I’m sure there would be lots of laughter! Wow, sooo jealous! 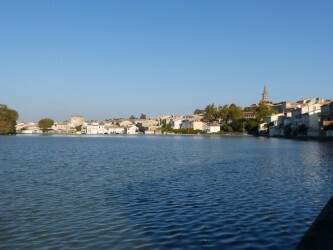 Castelnaudary and the entire region is so beautiful and warm, we camped around there outside of Carcassone before we had the kids (and had the obligatory cassoulet in your very town). Your house looks gorgeous! Thank you so much for your comment and I’m delighted to hear that you know the area and the town and have even had cassoulet! I would describe our house as shabby-chic, with an emphasis on shabby but it will be great fun decorating and furnishing the property. We will be dividing our time between the UK and France and hope that our family and friends will make good use of it when we’re not there. Well done. You made,it. The house looks fantastic. Look forward to hearing more! Thank you so much for your comment. We feel really privileged to be able to have a home in France and it really was the location that convinced us to buy where we did. To be able to walk out of our back gate and alongside the Canal du Midi is wonderful! Thank you ! I’m sure we will. What a wonderful first post to read on your blog! Well done on achieving your dream. Do keep the blog name as it is I think it’s great and you can still fancy France even if you own property. You’ve bought in such a lovely area I’m really rather jealous (even if I also live in a wonderful area!) 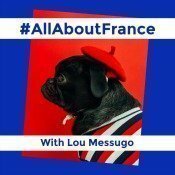 Thanks for linking to #AllAboutFrance I hope you find lots of interesting posts to read and come back again next month. Thank you for your kind words. I am delighted to have discovered #AllAboutFrance and I have been enjoying sampling the other posts and I am already looking forward to next month!